It's a blend of spices, originating in the Netherlands, and it includes tasty ingredients such as cinnamon, cloves and ginger. It's warm and sweet and has a cosier, more rounded flavour than if you'd just used cinnamon on its own. 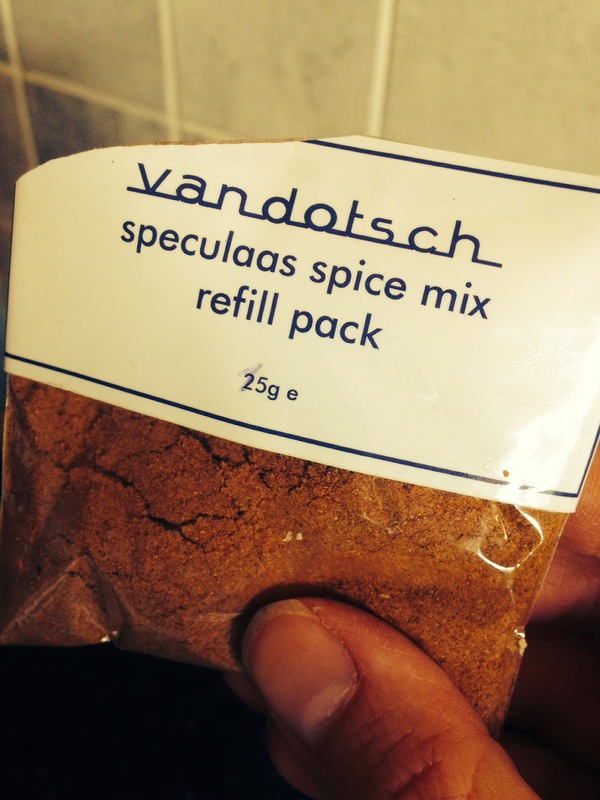 Steven Dotsch from The Speculaas Spice Company sent me a little packet of his own speculaas spice blend to try out. He missed the speculaas biscuits his mother baked when he was growing up in Amsterdam, and set about trying to recreate that flavour using his own blend. Happily, he cracked it, launched his own range - and I was only too happy to give it a try. And it seemed natural that my first adventure with its cosy, sweetly-spiced scent would involve apples. And nuts. Well, it is nearly autumn, after all. 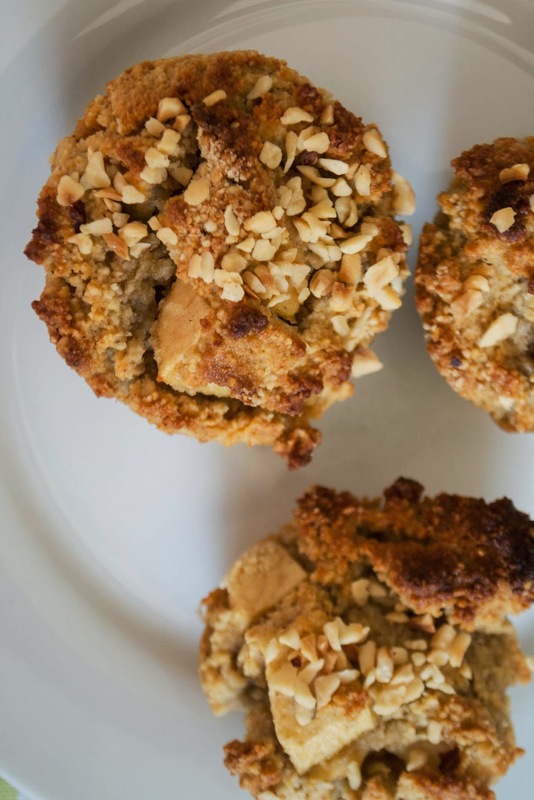 These muffins are paleo and gluten and dairy-free - although Steven informs me that not all the spices in his secret blend are AIP compliant, just so you know. 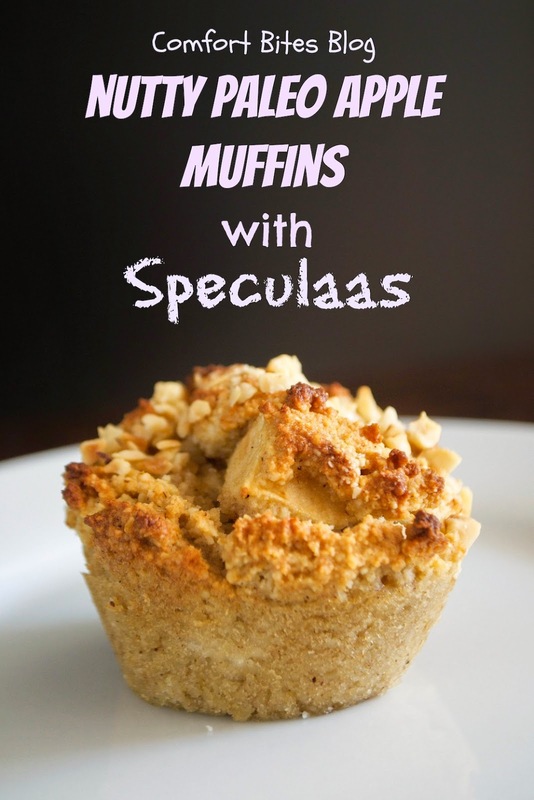 I've adapted a recipe of one of our favourite paleo muffins, from the blog Bravo for Paleo. I've tweaked it - adding less salt, subbing in maple syrup for honey and obviously including the speculaas, apple and hazelnuts, too. I hope you love them as much as we do. Preheat the oven to gas mark 4/180ºC/350ºF and get out a silicone muffin tray. In a bowl, mix together the almonds, coconut flour, bicarbonate of soda and the speculaas spice mix. In a jug, mix together the vanilla extract, coconut oil, honey, coconut milk and the eggs. Whisk together until well combined. Pour the now deliciously-scented egg mixture into the almond mixture, and stir well, until you get a firm but uniform batter. Tumble in the apple pieces and lightly stir again. Divide the mixture between the holes of the muffin tray, making sure every muffin gets about the same number of apple pieces, and then scatter the chopped hazelnuts over the top. Bake in the oven for 20-25 minutes, until the muffins are golden and set. I find it's easier to remove these from the tray if you leave them to cool thoroughly first.